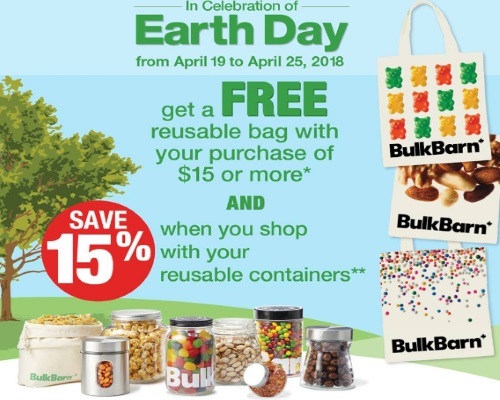 Bulk Barn has a nice Earth Day promotion coming up! Get a Free reusable bag with any purchase of $15 or more and get 15% off when you shop wht your reusable containers. Offer is valid April 19-25, 2018.